The phrase “junk science” is so often wielded as an attack phrase against expert witnesses that it has all but lost its meaning. 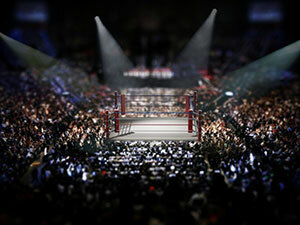 An antitrust lawsuit involving the Ultimate Fighting Championship (UFC) has resulted in predictable accusations of “junk science” in Daubert motions seeking to exclude expert opinions upon which the fighters rely. The phrase is hyperbolic, but it remains to be seen whether the trial judge will regard the experts’ methodologies as sufficiently sound to make their opinions admissible. The UFC is operated by Zuffa, LLC, a company founded by Frank and Lorenzo Fertitta to promote professional mixed martial arts (MMA) competitions. Zuffa acquired the UFC in 2001 for $2 million. At that time, MMA was banned in 36 states and had been condemned by Senator John McCain as “human cockfighting.” Zuffa worked to rebrand the sport and to persuade state regulators to legalize it. By 2016, MMA competitions were legal in every state. Even Senator McCain became a fan. The former fighters who are suing Zuffa contend that the UFC engaged in an anticompetitive scheme to suppress their wages. They allege that the scheme included signing fighters to exclusive long-term contracts and coercing them to renew those contracts, a tactic that prevents competing promoters from signing the best fighters. The lawsuit also accuses the UFC of acquiring other promoters of MMA, only to shut them down. The result, the fighters say, is a labor market monopoly in professional MMA competitions by the UFC. Part of the scheme, according to the plaintiffs, involved scheduling fewer bouts than fighters wanted while keeping more fighters under contract than they could use. The UFC allegedly kept fighters under contract, even though they had few fights to offer them, to keep the fighters from being signed by competing promoters. The UFC has denied the allegations and is opposing certification of the lawsuit as a class action. The UFC has also filed Daubert motions challenging the admissibility of the expert opinions upon which the plaintiffs rely. Everyone agrees that the wages paid to UFC fighters has grown as the sport has grown. To prove that wages would have grown more in the absence of anticompetitive activity, the plaintiffs are relying in part on the expert analysis of economist Andrew Zimbalist. Zimbalist calculated wage loss by applying the “yardstick method.” The yardstick method is often used to calculate lost profits that result from antitrust violations. The method compares profits earned in similar but competitive markets to profits earned by the plaintiff. The assumption is that profits in similar markets will be similar, and that the comparison thus approximates the profits that were lost due to the antitrust violation. The yardstick method is also used to calculate overcharges by comparing prices charged in comparable competitive markets to prices charged by a company that is allegedly violating antitrust laws. Zimbalist compared UFC fighters’ wages as a percentage of event revenues to the percentage of revenues earned by athletes in the NBA, NFL, MLB, NHL, and boxing. Although the versions of the expert reports that have been made available to the public are heavily redacted, one source reports Zimbalist’s conclusion that UFC fighters would have made an additional $981 million over the 6 year period if they had been paid the same share of revenue as athletes in the other five sports. Courts have generally accepted the yardstick method as satisfying the Daubert standard of reliability, but the UFC has branded Zimbalist’s methodology as “junk science.” The UFC argues the players in the four major sports leagues are unionized, and that those markets are therefore not comparable to the UFC. Zimbalist counters that players’ unions have created competitive labor markets by, for example, allowing athletes to become free agents. According to Zimbalist, it is the competitive labor market in league sports that increases player compensation, not simply the fact that players are unionized. Boxing may be the most comparable industry to the UFC, but the UFC complains that Zimbalist took his figures about boxing wage percentages from a different expert’s analysis of a single promoter (Golden Boy) without verifying the data used by that expert. It isn’t unusual for experts to rely on work done by other experts, and if it is the kind of data that experts routinely rely upon, courts do not expect them to reinvent the wheel. The UFC’s stronger argument might be that using data from one boxing promoter is not an adequate sample, given that there are about twenty fight promoters of nationally televised events. A court cannot certify a class unless it concludes that questions of law and fact are common to all class members. The plaintiffs are relying on the expert opinion of Hal Singer to prove that the compensation of all proposed class members is adversely affected by the UFC’s anticompetitive practices. Using regression analysis, Singer opined that 78% of UFC compensation is determined by common variables, including card placement, rank, and weight class. Any anticompetitive practice that reduced compensation in general would arguably affect all fighters if fighter salaries are all influenced by the same factors. More importantly, Singer offered an expert opinion that fighter salaries were affected by UFC’s alleged practice of putting competing promoters out of business while locking key fighters into long-term contracts. Singer contends that foreclosing competition leads to a lower share of revenues being devoted to fighter compensation. By his calculation, fighters lost $811.2 million to $1.6 billion in compensation due to anticompetitive practices. Judges are trained as lawyers, not as economists or statisticians. Whether a judge is any more capable than a jury of determining whether the plaintiffs’ experts used “reliable methodologies” in this case is unclear. What is clear is Daubert’s requirement that judges must not expose juries to expert opinions that, in the judge’s view, lack a reliable foundation. In the coming months, the judge presiding over the antitrust lawsuit against the UFC will need to perform that daunting task.